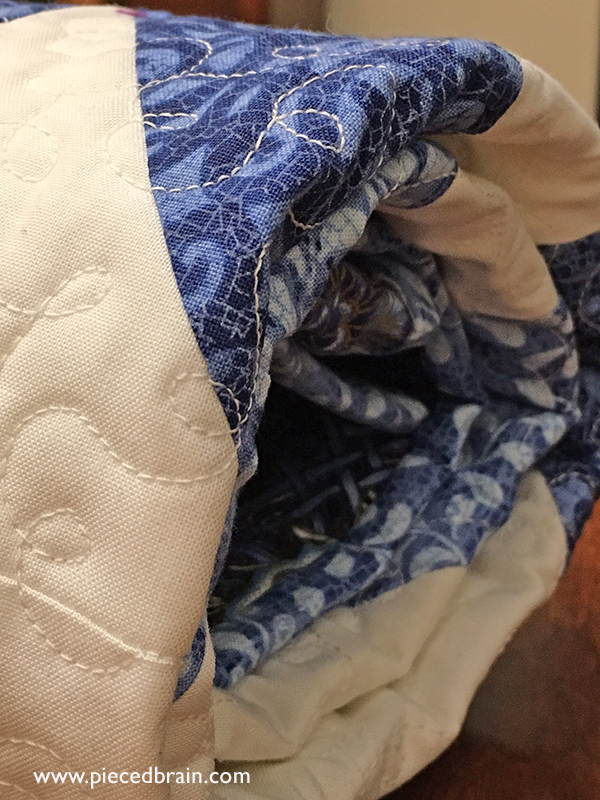 ... except on the border where I used Aurifil's monofilament to show all its glory. 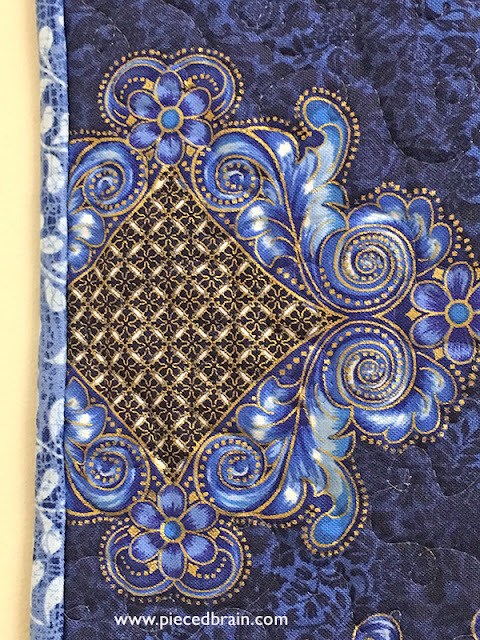 This fabric is from the Florentine II collection by Peggy Toole for Robert Kaufman. I've had it for many years and have NEVER before had the courage to cut any of the ones I got from that line. Until this week when I realized this one was perfect for the Timeless Treasures duo. Here it is on my table. 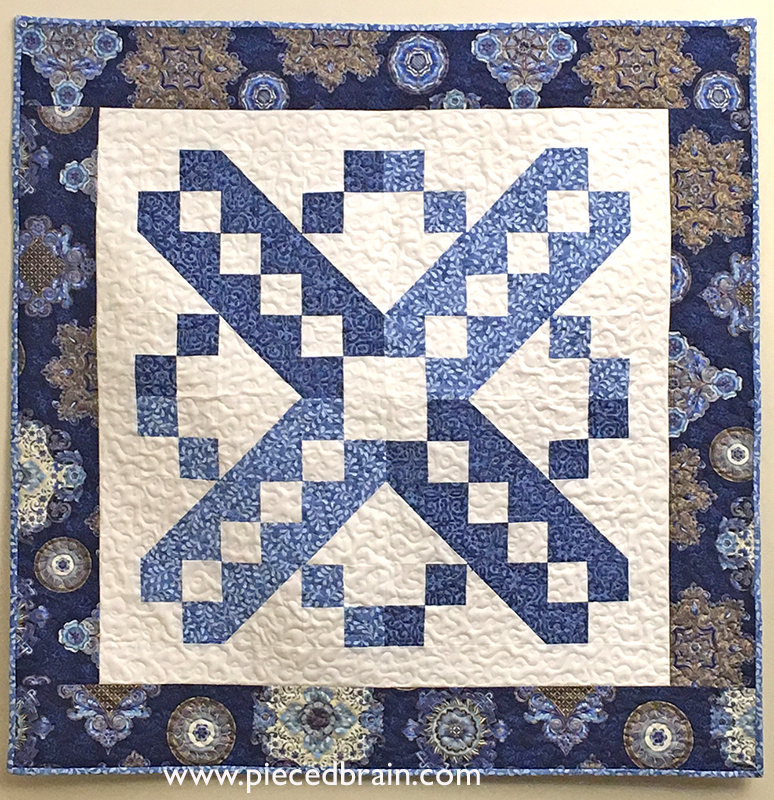 You can find this pattern on Fat Quarter Shop's blog. 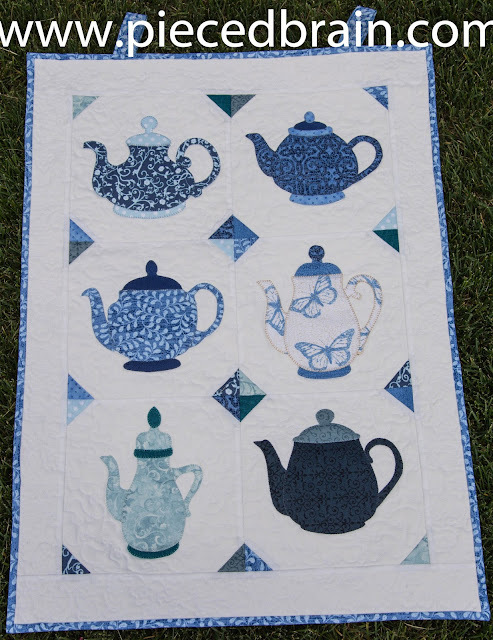 As for me, I think this quilt will be really a table topper and will feature it next to my TeaPots quilt (had to repost it because the link to previous post was broken. Ai ai ai). What do you think? 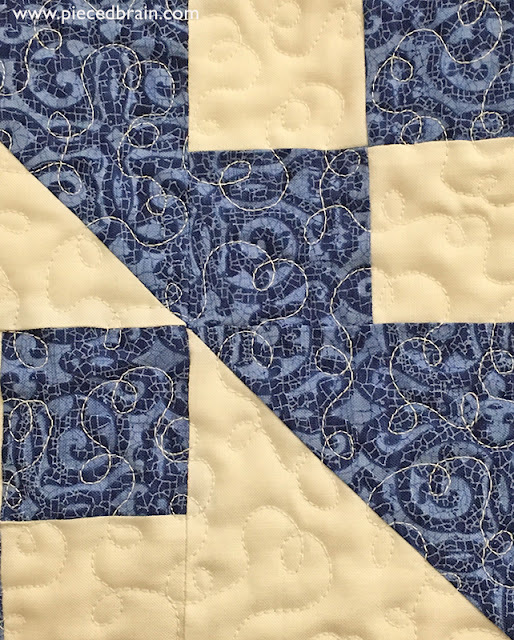 Head over to Jolly Jabber to see the projects that participating bloggers made. Then, have an inspired day! Beautiful wall hanging Denise and it will be perfect with your Teapots quilt. Love your quilt. This is such a fun pattern. I love both of your quilts! Denise your mini is gorgeous! 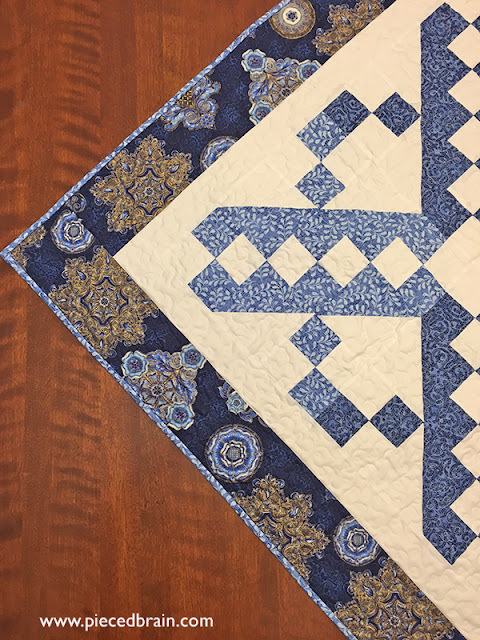 I love the other quilt, too!